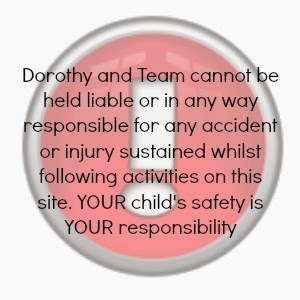 As I mentioned here Dorothy and her friends have been invited to review Twinkl Resources. 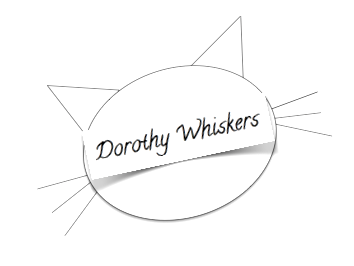 This post is going to be an initial review of the site then Dorothy and friends will share their opinions at a later date! Disclaimer:- This is an honest review of the Twinkl Resources website, the opinions and experiences are my own. I was not paid for this review but given full access to the Twinkl site to fully access all they have to offer and to facilitate a full and thorough review. 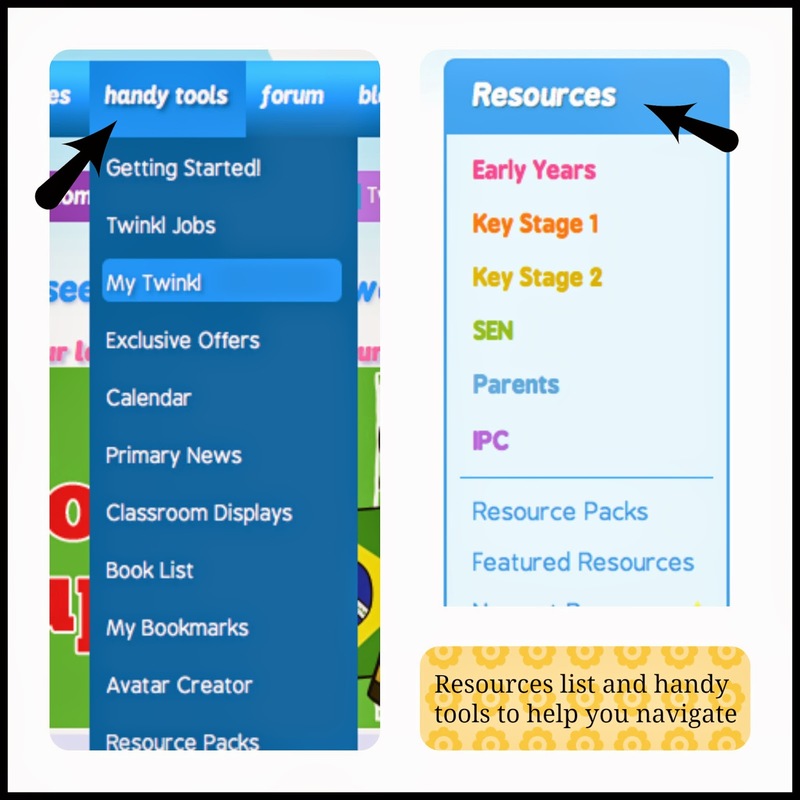 "Twinkl Resources is the trusted home and one stop shop for thousands of lovely, unique, printable teaching resources for Early Years, Key Stage 1, Key Stage 2, teachers, home educators, parents, childminders, nurseries and more." There are some "handy tools" to help you navigate the site and the drop down tool bar (below) links to the main site areas you are likely to use. 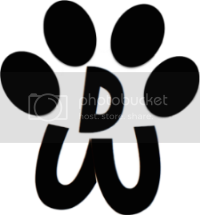 "My Twinkl" was especially useful as it brought up recent pages I had viewed, resources and activities I might find helpful and pages others were interested in. Early Years (Foundation Stage), Key Stage 1, Key Stage 2, SEN, Parents and IPC - the International Primary Curriculum. 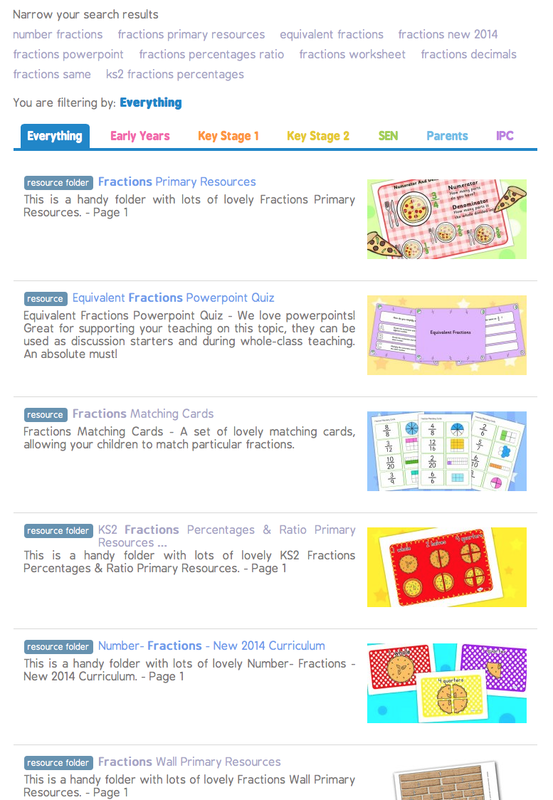 The site is not only packed with resources to use directly with children - either at home or school, but includes clever display borders and similar aids that make all the difference to teachers pushed for time but wanting something special. If you are seeking something really specific Twinkl has the facilities and templates for you to design your own resources - so there is no excuse for not personalising your lessons! I thought this might be especially useful for younger children, or for those educated at home? There is a Blog where Twinkl keeps you updated on new resources, plans and events. I found this a good place to scan recent updates and discovered via this that Key Stage 3 is soon to be included on the site. Twinkl also sends out regular newsletters to subscribers which are packed full of additional information. I know - because I received one this morning! They certainly seem to have thought of everything, included self-registration avatar creation, a calendar with all the main dates in the school year to support teaching the curriculum and personalised suggestions for teachers and parents. I was particularly excited to see the planned addition of KS3 resources, a challenging age range to support but such a crucial one before formal examination curriculums begin. Differentiated learning is a challenge in the senior classroom, particularly with the necessary and important inclusion of those with learning difficulties. My second son has Autism and is a very visual learner, he is extremely able but can only access the curriculum with appropriate support. Twinkl is going to be a useful addition to his school work to help him progress. Communication between school and home is not as straitforward, regular or clear at High School and I am not actually clear on the curriculum for each KS3 subject. I found it very helpful to have this clearly produced on Twinkl. Twinkl has Resources for everyone. There are Maths Support games and sheets created for Teaching Assistants in their support and intervention for those struggling with key areas of the Primary Maths curriculum (but could be used by anyone) and information on the new SpaG SATS requirement. 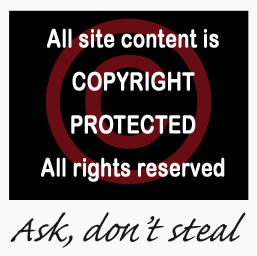 If, after downloading your resources, creating your own and following the suggestions on the site you still want more, there is an online shop where you can purchase reward sheets, stickers, certificates etc. Twinkle really have though of everything. 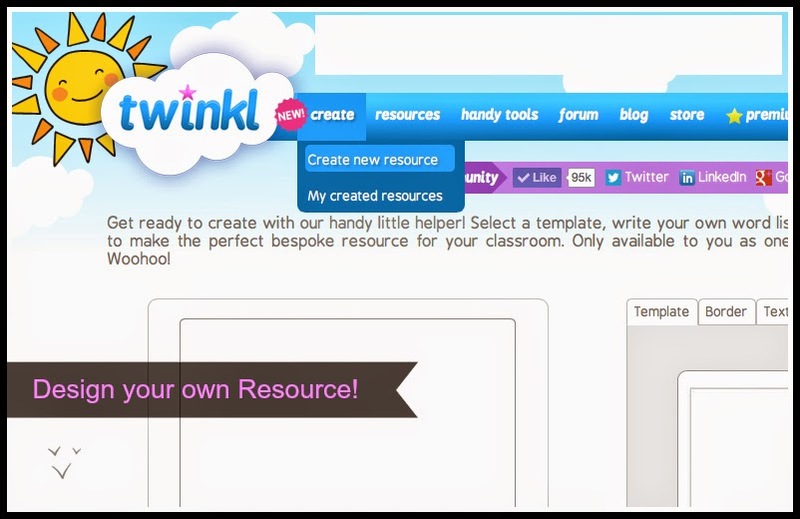 As a former Primary School teacher I *WISH* Twinkl had been available to support my lessons! I am so impressed with the quality and quantity of resources and the simple, dynamic and effective way the site interacts with users to assist in their planning and preparation. it would have been such a valuable addition to my own, and school resources. So, having successfully navigated my way around the site I set about using it to provide support teaching my daughter more on Fractions. I remember from my teaching days that the word "fraction" could instantly promote fear and panic, and simplicity is key. I typed in "fractions" to the search bar and this brought up a great list of possible resources, subdivided into the main categories described above. The Fraction matching game looked a good place to start, with Halves and Quarters Worksheets to support her learning. I already have suggestions from school of areas she needs additional help, and this proved invaluable when searching through the resources. It might have been helpful to have a few pointers for areas different children might struggle with, but to be honest it's probably better to keep a slick, easy to use site since teachers, parents and home educators usually have a rough idea of where their children are and how best to help them. If not, try the games first and see if your child needs any extra support. Once I clicked on the resource I wanted, I was delighted to see other linked suggestions pop up on the left, which made it so user-friendly. There was plenty on offer for my needs but did think some extension work might have been handy for my son to keep him busy at the same time. Overall I am incredibly impressed. I'm looking forward to using the resources I have downloaded to work with my daughter - and will update on our progress! Twinkl is a superb resource site (not a tuition site), and works beautifully in conjunction with teaching whether at home or in school. it is particularly well suited to Key Stage 1 and the lower end of Key Stage 2.
i have heard a lot about them lately and it does seem an amazing resource. 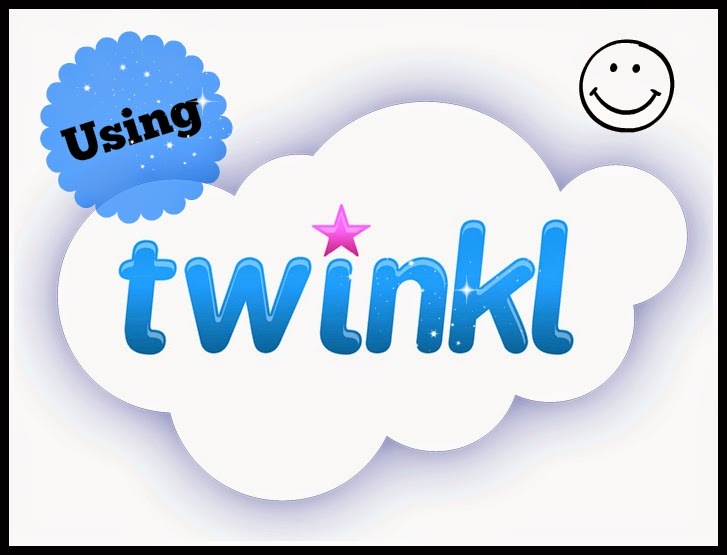 We reviewed Twinkl some time ago and they do have some lovely resources. Great review, I have always wondered what Twinkl was about as I had seen them on twitter a few times. Looks a great resource. Looks great, I am all for using great computer and tablet based resources - I like to use a mixture as it is all helping to reinforce the information! My littlest is a bit small and my middle one is a big big, so will come back to it in a bit when KS3 is available and when my youngest starts school in a year or so! This sounds like a great resource for supporting kids, thanks for a lovely review! 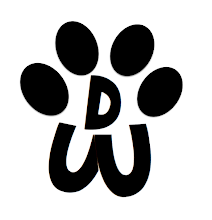 I love Twinkl, I used it a lot when I was teaching . A great review. I shall certainly check them out, I have children at all stages of the education system and it's good to have the resources all in one place. Something new to be but it looks very interesting. Certainly a very handy resource when you are looking for ideas for little ones. We love having a TWINKL account - so many different exciting resources!